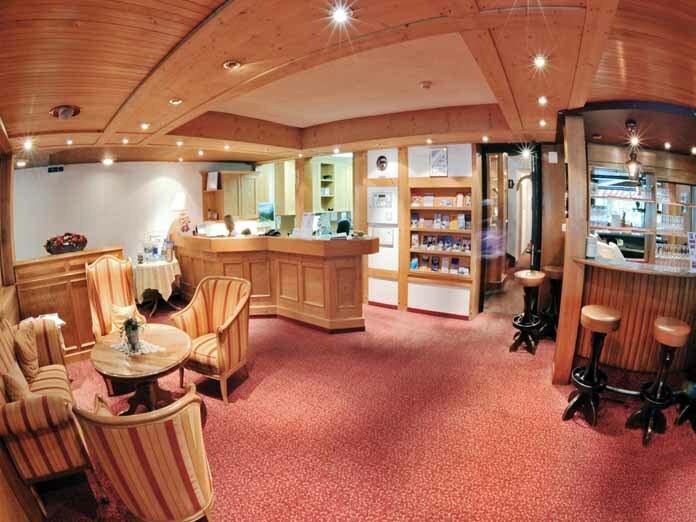 The Central Hotel Wolter has a good location, as the name suggests, not far from the railway station in Grindelwald and 5 minutes walk to the main ski lift. 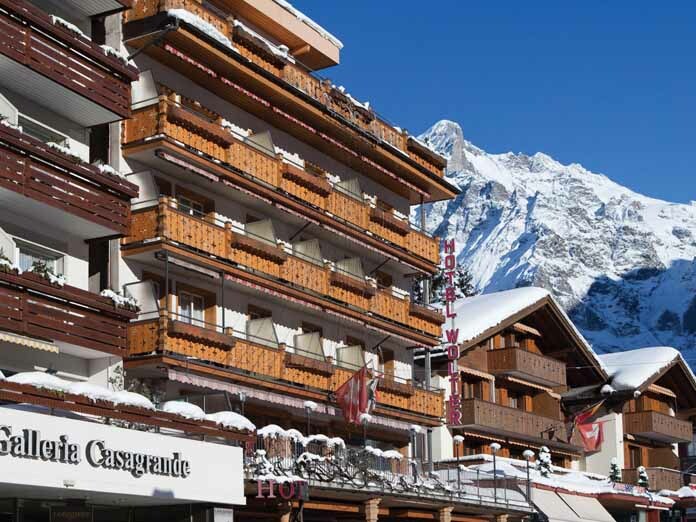 Enjoy the views of Sthe Eiger from the dining room, and take advantage of free swimming and ice skating at the nearby Sports Centre. Spa facilities at Hotel Spinne including sauna, steam room and whirlpool are also included. Central resort location. 5 minute walk to ski school. Close to resort facilities, train station and sports centre. Dining room with terrace and spectacular views over the Eiger. Free use of spa facilities at nearby Hotel Spinne. Accessible from Berne (75km) and Zurich (2/3 hours), Grindelwald is the oldest yet least- known of the 3 Jungfrau resorts (which combine to offer 188km of piste). Most will have heard of Wengen and Murren. All 3 sit around the magnificent Eiger, with Grindelwald at the base. This does lead to a lack of sun in the winter. A mountaineering Mecca, the setting and scenery are fantastic and the resort is picturesque in the extreme, although Murren possesses the best views. 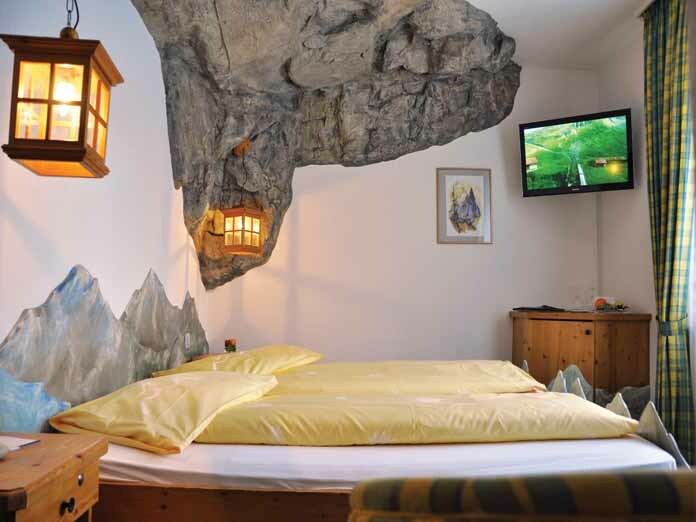 Grindelwald has its own domain, linked with Wengen, while a slight trek can get you to Murren. In particular, the cog railway and the gondola to most of the skiing can get clogged, especially at weekends. The lift system is rather antiquated, but should be receiving attention soon. Grindelwald has Europe's longest sledge run - it is 15 km long! The skiing favours intermediates, while advanced skiers may miss out if they aren't prepared to travel. The resort is hugely popular with families. The ski school also has a reasonable reputation, with many English-speaking instructors. Grindelwald's biggest problem is a lack of guaranteed snow, with most of the skiing between 1000m and 2000m. There is plenty to do off the snow, with the train helping you to get around. Après-ski is pretty laid-back, while hotel restaurants are the focus for good grub. There are a few reasonable bars and 2 clubs, so it's slightly livelier than the other Jungfrau resorts. Access is provided by train from Interlaken. Overall, a beautiful family ski resort, with a great selection of skiing and non-skiing options available. Grindelwald, funnily enough, only really comes into its own when there is ample snow. The World Snow Festival takes place in Grindelwald each year. Thousands of sculpturers present their creations on this event. It is worth watching them how they make their creations. Comments Lifts, slopes and sledge runs are partially open!